Mitski spent most of last year touring behind last year’s celebrated Be The Cowboy (one of our favorite LPs of 2018), and her latest US tour just got underway and hits Athens, GA’s 40 Watt Club tonight (4/8). She’s also got a bunch of upcoming dates in Orlando, Baltimore, Houston, LA, Seattle, and tons more, with support from Jay Som, Julianna Barwick, and Dilly Dally on select dates. She also has a Red Rocks show with Death Cab For Cutie in June, along with festival appearances at NYC’s Governors Ball, Chicago’s Lollapalooza, Montreal’s Osheaga, and many others. Check here for all dates, and watch her new live video for “Drunk Walk Home,” which was filmed at one of her four sold-out Brooklyn Steel shows last year, below. 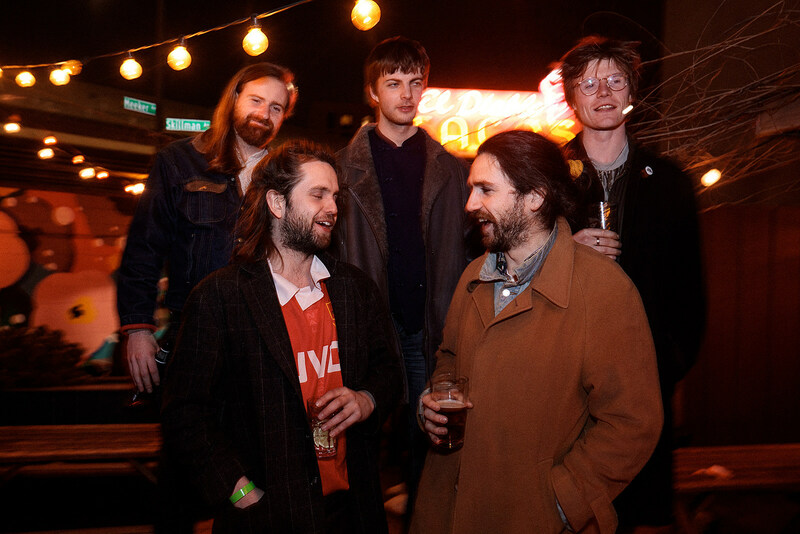 Irish post-punks Fontaines D.C. will release their long-awaited debut LP Dogrel later this week, and they already have a bunch of tour dates lined up for 2019, including a May US run with Partisan labelmates IDLES, which hits NYC for a sold-out Brooklyn Steel show. The band has since added a full headlining tour of their own, with another Partisan labelmate Pottery, who just wrapped up a tour with Viagra Boys and whose debut EP drops next month. The September tour kicks off in Brooklyn (Music Hall of Williamsburg on 9/6), before other shows in Philly, Boston, Toronto, Washington D.C., LA, San Francisco, Chicago, Minneapolis, and more. Tickets go on sale Friday (4/12) at 10 AM local time. Aside from these new shows, Fontaines D.C. will be touring the UK and Europe later in the fall. All dates here, and watch Fontaines D.C.’s recent video for “Roy’s Tune” below. Speaking of post-punk bands, NYC-based Bodega added more shows behind last year’s groovy, socially-conscious Endless Scroll, and they’ll be joined by past tourmates and fellow Brooklyn band Gustaf on all dates. Kicking off at NYC’s Mercury Lounge on 5/6, the two bands will play shows across the Northeastern and Midwest in May and June, hitting Buffalo, Philly, Pittsburgh, Detroit, Columbus, Toronto, Portsmouth, and Boston. Following these, Bodega’s also got some UK/European dates in August. Find all dates listed here. Canada’s The Rural Alberta Advantage have announced US tour dates happening in June, where the band says they’ll have “some new tunes in tow to try out.” After an NYC stop at Mercury Lounge on 6/6 (part of the venue’s 25th anniversary), the band will also make stops in Boston, Philly, St. Paul, Seattle, Portland, San Francisco, and Los Angeles, which follow some previously-announced Ontario shows in May. Tickets to these dates go on sale Friday (4/12), and you can view all dates here. French metal vets Gojira will be touring with Slipknot throughout the summer as part of their “Knotfest Roadshow” tour, but the band has just revealed a few headlining shows in between some of those dates, hitting Portland, Las Vegas, and Minneapolis in late July and early August. Tickets to these new dates go on sale Friday (4/12) at 10 AM local time. The band will also be heading out on a brief tour with Deafheaven, surrounding both bands’ appearances at Bonnaroo in June. Head here for all Gojira dates. NYC’s Flor De Toloache make music rooted in Mexican mariachi, but with a unique, modern twist, and their resume includes an opening stint for Dan Auerbach’s side project The Arcs, and appeared on their album Yours, Dreamily. The band just added an NYC headlining show at Le Poisson Rouge on 6/12, and they’ve also got some other US dates throughout the spring in Seattle, Sacramento, and Mamaroneck, NY. Details here. Texas rock legends ZZ Top announced a 50th anniversary tour, with Cheap Trick as openers on most dates. Indie greats Luna announced two NYC dates where they’ll be playing their LPs Penthouse and Bewitched in full. More tour dates will be announced soon. The Raconteurs announced their first tour in eight years behind the upcoming Help Me, Stranger — their first album in over a decade. Robyn expanded her 2019 tour behind last year’s great Honey, adding new July dates in Brooklyn, Philly, San Francisco, and Los Angeles which surround her appearance at Pitchfork 2019.